We’d love your help. Let us know what’s wrong with this preview of Healing Stories for Challenging Behaviour by Susan Perrow. 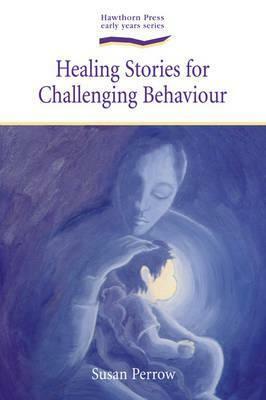 To ask other readers questions about Healing Stories for Challenging Behaviour, please sign up. A creative way to address trouble areas in children... or even adults. The stories get you thinking and relating to your own life without feeling like you're being targeted for "being bad". I loved it, and I will use what I learned to create my own stories for my children and my students! What I liked most about this book were the stories from real life. Throughout the book, the author explained how she created a story and used it to help children change their behavior. These stories were very useful for seeing how to craft a good story. The second part of the book is devoted to short stories to be told in different settings. Because my daughter is still very young, I don't know how useful these will be. They seem useful. I have been telling short stories to my daughter--mostly da What I liked most about this book were the stories from real life. Throughout the book, the author explained how she created a story and used it to help children change their behavior. These stories were very useful for seeing how to craft a good story. A great resource for parents of young children. Lovely stories to help children work past challenging behaviors and to help you create your own stories for your own situations. I wish I could just do it and not tell the moral. Definitely something to work on. I really enjoyed the resources in this book and the practical information on sharing healing stories with children. I highly recommend this book to anyone willing to share stories, whether in a classroom or home situation. Excellent book. Although it has lovely stories included, I loved the "how to" tips on creating your own stories, as well as the reasons why stories are good for behavior modification. I hope to use the methodology even more in the upcoming years. Excellent book; a useful resource for beginners and experienced storytellers; hugely beneficial for the children who are read/ told the stories that come out of it. Another great tool in the parenting bag. It's a very gentle way to redirect behavior. I read a good chunk of this and it's really good stuff, but the stories are more appropriate for children a bit older than my child. I definitely plan to come back to it in the future, though. Great book. Full of creative and useful stories for carious ages. I've read all the stories that relate to my age toddler and plan on referring to this book for future insight.